The high-end, high performance NAS based on Intel® Dual Core Server Processor has built-in dual 10Gig Ethernet ports and is the ideal professional desktop NAS system for small and medium size businesses. ReadyNAS with its 5 levels of data protection protects your data against human error, catastrophic events and silent data corruption. 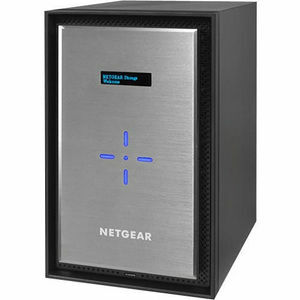 5 years warranty and next business day hardware replacement guarantee worry-free IT. And "ReadyCLOUD" personal cloud provides file sharing and sync without boundaries.